One of the features of our school population in Auckland is its super-diversity. But the governance of schools is still predominantly European. According to Ministry of Education data for 2014, there are a little over a quarter of a million students in our Auckland schools, of whom around 41 per cent are European, 16 per cent are Maori, 21 per cent are Pacific and 19 per cent are Asian. 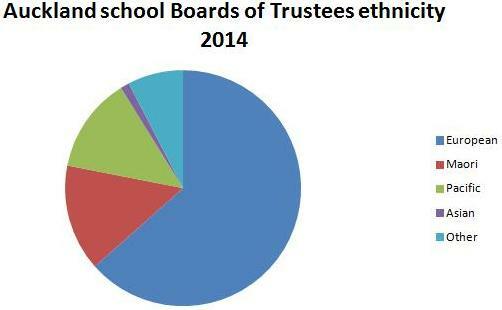 Of the 4,000 members of school boards of trustees, by contrast, around 63 per cent are European, 14 per cent are Maori, 13 per cent Pacific and a mere 2 per cent are Asian. The number of Maori trustees is a result of a long term emphasis on boards having at least one trustee who is Maori, by co-option if necessary, and the existence of Maori governed kura kaupapa. Even so, the percentage is still below that of Maori students. Emphasis has also been given to the recruitment of Pacific trustees, but results here are much less proportionate. The Ministry of Education has key performance indicators for Maori and Pacific parent representation on school boards. The Ministry reports that nationally in 2014, the number of Māori parent representatives on the board fairly reflected the Māori student numbers in only 4 out of every 10 schools, and the number of Pasifika parent representatives on the board fairly reflected the Pacific student numbers in only a third of schools. Fair representation is defined as at least one Maori or Pacific parent. The Ministry does not have a performance indicator for parent representation of Asian student numbers. 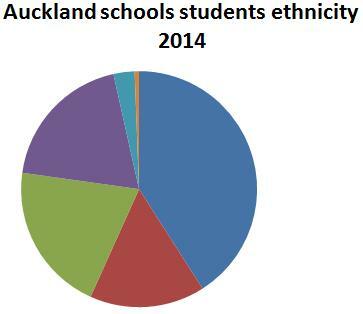 It’s as if they haven’t noticed that a fifth of all school students in Auckland identify as Asian. The triennial elections for school boards of trustees take place next year. So far, there is no indication that either the Ministry of Education or the School Trustees Association are considering the issue of under-representation of Maori, Pacific and Asian parents or encouraging schools to begin to engage with these communities to encourage and assist them to stand for election. It’s time for a cultural shake-up in our school governance. The time to begin planning for it is now. And representation of Asian parents should become a performance indicator along with representation of Maori and Pacific parents. Time for a cultural shake-up in our school governance? Original generation time 1.6370 seconds. Cache Loaded in: 0.0005 seconds.